In August 2018, President Trump signed into law the National Defense Authorization Act (NDAA), to fund the nation’s military operations for the 2019 fiscal year. It includes a provision that has been absent for about 15 years: required problem-gambling screening for members of the Armed Forces. The National Council on Problem Gambling (NCPG) says about 56,000 active-duty military personnel are problem gamblers out of more than a million service men and women. The Department of Defense (DoD) reports about 120 active military sought treatment in 2017. 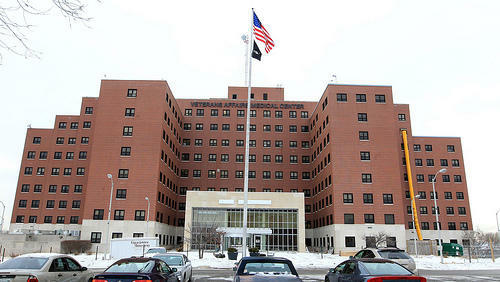 About 10 percent of veterans using Veterans Affairs services are problem gamblers, according to the NCPG. Members of the Armed Forces serving overseas don’t have far to look to find ways to gamble. 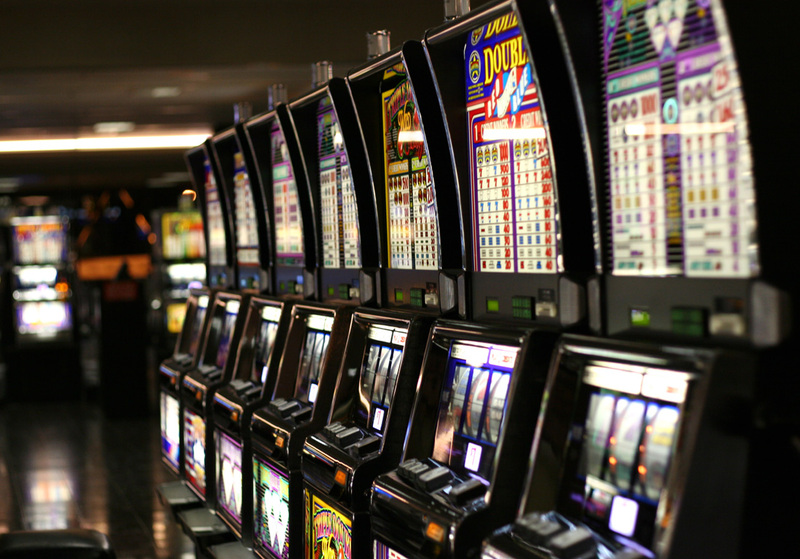 There are about 2,000 slot machines (not 3,000 as some have reported) on more than 60 overseas bases. The DoD generates $100 million each year from active-duty military personnel playing on those slot machines. None of the money goes toward problem-gambling treatment. Stateside bases removed slot machines in the 1950s, but bingo is played on 72 out of approximately 418 stateside bases, Maxwell said. “It’s clear that the Department of Defense in some ways is a large casino operator, given that they have thousands of slot machines on our overseas bases in addition to a tremendous amount of on-post bingo throughout the continental United States,” said Keith Whyte, NCPG executive director. Screening questions to detect problem gambling in the military were discontinued in the early 2000s. The NCPG has lobbied ever since to restore those questions, because military personnel tend to be at greater risk for problem gambling than some other groups. Today, about 2 million, or 1 percent of adults, in the U.S. are estimated to meet the criteria for pathological (severe) gambling. Another 4 million to 6 million would be considered problem gamblers. About 2 percent of active military personnel meet the criteria for problem gambling. “The other important part of screening is that unlike substance abuse or other disorders that have more outward physical signs, gambling addiction is what we often call the hidden addiction,” Whyte said. He said because the military stopped screening, a whole generation has gone undiagnosed and untreated. And military personnel often suffer in silence. These concerns and others — including separation from a unit or fear if a crime has been committed because of gambling — are reasons the addiction goes unreported in many cases. “Gambling addiction is a serious health problem that affects veterans and active duty service members. It is highly co-occurring with other serious conditions and complicates the treatment of those disorders,” the letter reads. The NDAA provision for screening does not include veterans. Marcena Gunter, a spokeswoman for Veterans Affairs (VA), said internet gambling also gives overseas Armed Forces members easy access to gaming. Once they leave the military, many veterans the agency works with become addicted to video slot machines. Homeless veterans appear to be more addicted to scratch-off games and the lottery, she said. One counseling service that helps gambling addict who are veterans and active military is the Life Crisis Center housed at Provident, Inc., in St. Louis. People struggling with various mental-health issues can call the 24-hour hotline for free counseling over the telephone. The hotline is funded partially through money provided by the state’s gaming commission. The center receives hundreds of calls a day that come through Missouri’s 1‑888BetsOff hotline, run by an alliance of public agencies. By one Friday afternoon in early October, the center’s counselors had answered 77 calls since midnight. That’s about six calls an hour. Clinician Jessica Vance pointed to her computer screen to show the questions counselors ask, including whether callers are at risk for suicide. According to the Nevada Council on Problem Gambling, up to half of people in treatment for problem-gambling disorder have thought about suicide and about 17 percent attempted it. The clinicians at Provident who handle calls from problem gamblers said one of the biggest hurdles for callers is shame. They say callers struggle to understand that gambling is a valid addiction similar to other substance-abuse problems. It took about a decade for lawmakers and the federal government to turn their attention to problem gambling among active military personnel. In Nov. 2018, Sen. Elizabeth Warren (D-MA) questioned Thomas McCaffery, nominee to be Assistant Secretary of Defense for Health Affairs, about the matter of problem gambling and the military. In 2015, the Senate adopted an amendment introduced by Sen. Elizabeth Warren (D-MA) requiring the Government Accountability Office (GAO) to produce a study on problem gambling in the military. Two years later, the GAO released this report, which shed light on the fact that there are thousands of slot machines on military installations overseas, yet the DoD doesn’t systematically screen military personnel for gambling disorder. The GAO recommended that the DoD incorporate questions on gambling disorder in its annual health assessments and DoD-wide surveys. In June of 2017, Warren introduced the Preventing and Treating Gambling Disorder in the Military Act of 2017, which would require the DoD to screen servicemembers for gambling disorder and include gambling disorder in certain surveys. This provision didn’t make it into the Senate version of the 2018 NDAA. In 2018, Warren tried again, working with Sen. Ted Daines (R-MT) to introduce a new bill, the Gambling Addiction Prevention Act, which included the provision to require DoD to screen and survey servicemembers for gambling disorders, as well as a new provision requiring the DoD to develop policies and programs to prevent and treat gambling problems. This measure made it into the 2019 NDAA which passed and was signed by the president. In November, Warren questioned Thomas McCaffery, nominee to be assistant secretary of defense for health affairs, about the matter of problem gambling and the military. McCaffery said he was unaware of the slot machines on bases but pledged to give his attention to the matter and how it “links to some of [Sen. Warren’s] concerns regarding gambling disorder.” He then committed to enforcing the NDAA provision. Whyte of the NCPG would like to see the government go even further. Ashley Lisenby worked as the race, identity and culture reporter at St. Louis Public Radio from Dec. 2017 to Dec. 2018, as part of the Sharing America collaborative. She came to KWMU from the St. Louis Post-Dispatch where she was a general assignment reporter who mostly covered county municipal government issues. Before making the switch to radio, Ashley covered Illinois government for The Associated Press in Springfield, Illinois, and neighborhood goings-on at a weekly newspaper in a Chicago suburb. Holly Edgell is the editor of Sharing America based at St. Louis Public Radio. She is a journalist with more than 20 years of experience. In addition to working as a television news producer in several cities, in 2010 she launched 12 St. Louis-area websites for Patch.com. She also served in leadership positions for E.W. Scripps in Cincinnati, Kansas City, and Cleveland. Holly was also a journalism professor at the Missouri School of Journalism and Florida A&M University.